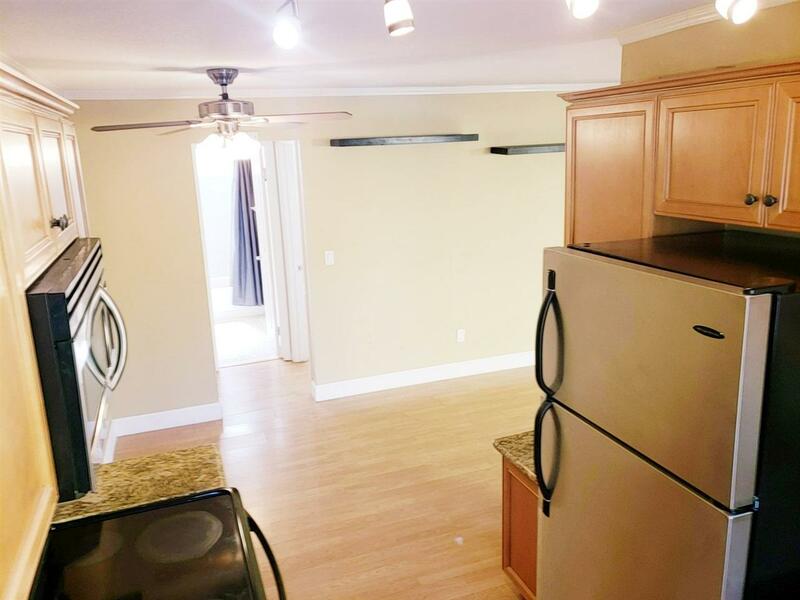 Clean, gated, 1st floor unit, w/ private yard, ready for move in! 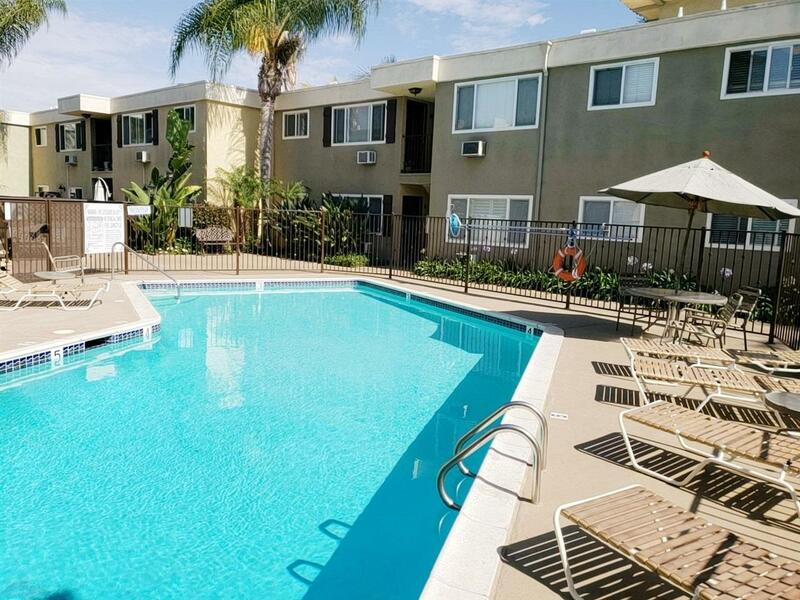 Fully gated parking & well maintained complex with tropical landscaping, community pool, BBQ, outdoor patio furniture, & laundry room. 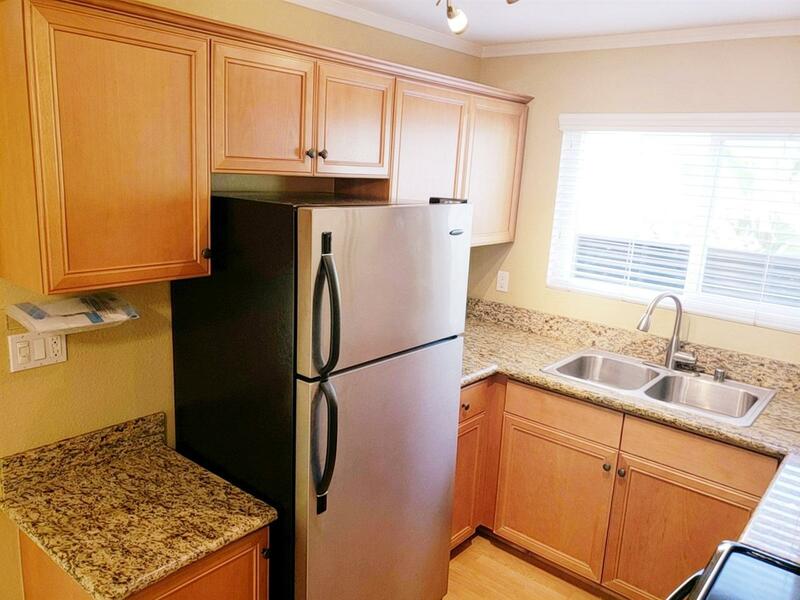 Unit includes Frigidaire stainless steel refrigerator, range/oven & dishwasher. Wood flooring throughout w/ tile in bathroom, hall closet & window coverings. 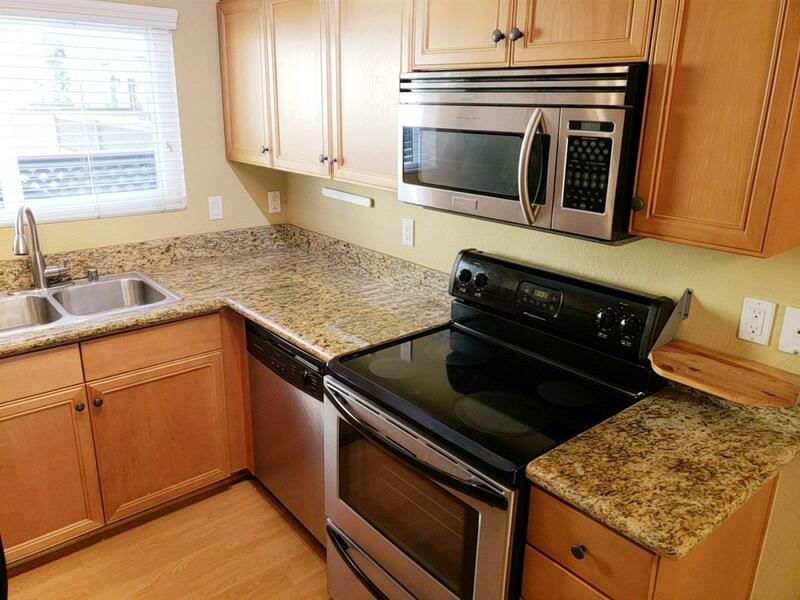 Granite counters in kitchen & bath, ceiling fan, large living room & master w/ mirrored closet doors & closet organizers. Central to all of San Diego! !